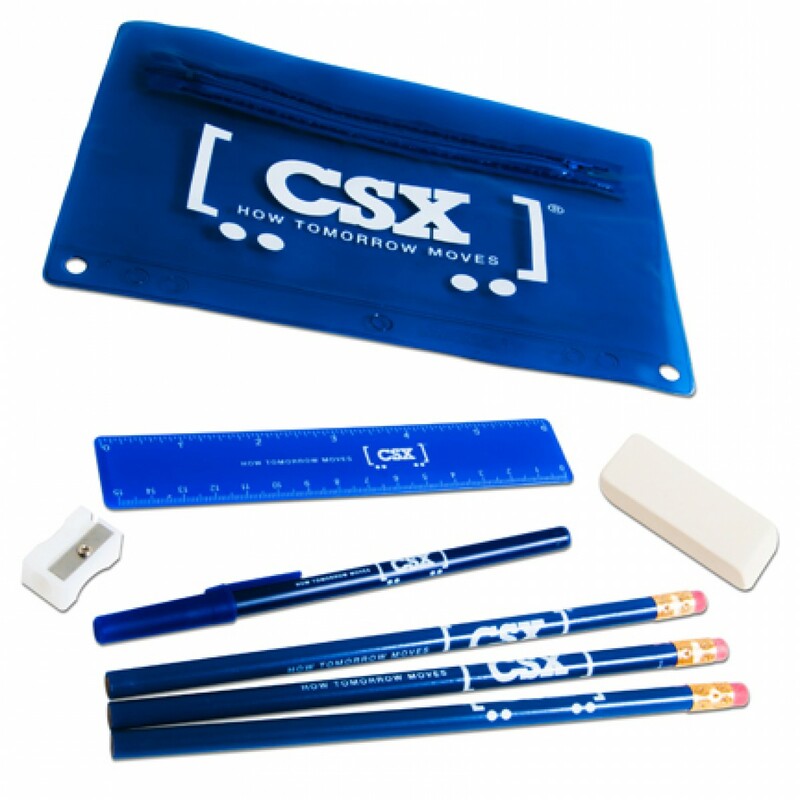 CT2274 - Includes 3 round pencils, 1 stick pen, 1 jumbo eraser, 1 6" plastic ruler and 1 white pencil sharpener. All items imprinted except eraser and pencil sharpener. Blue with CSX How Tomorrow Moves logo.